Can My Brother's Insurance Policy Pay For His Funeral Expenses? Home » The Law & You » Can My Brother’s Life Insurance Policy Pay For His Funeral Expenses? Can My Brother’s Life Insurance Policy Pay For His Funeral Expenses? Fellerman & Ciarimboli estate planning attorneys Greg Fellerman and Ed Ciarimboli tackle a question about whether the executor of a will can be reimbursed for funeral expenses using the deceased’s insurance policy. For a complete answer to any estate planning questions, it’s best to speak with an attorney in person. Dave Kuharchik: It’s time, once again, for “The Law & You.” Featuring the area’s premier attorneys Greg Fellerman and Ed Ciarimboli. They usually pay me an extra twenty bucks when I say that. Ed Ciarimboli: Hey, you look terrific today. Dave: Thank you, you know it’s a Thanks giving night special deal, but the suit’s pretty incredible. It feels comfortable. Ed: You look like a million bucks. Ed: Okay, so, in the question, did the husband pay the funeral bill? Ed: That’s easy. The life insurance policy can go to repay the husband for what he paid for the funeral bill; That’s ability of state if he paid it. The life insurance, if he’s the only beneficiary, then they’re going to go to him anyways, especially if there’s no will. I think that your husband’s rights to the money are pretty solid there. Dave: Looking at this again, I think it said the executor paid the funeral bill. So the husband wants to be reimbursed for that, so it’s the other way around. Dave: So the executor’s requesting the life insurance money to reimburse himself or herself for the funeral. Greg Fellerman: The policy is the beneficiary is entitled to the money regardless of the estate. Because he’s named -it’s a contract. The contract names him, so the executor has to collect from other means, not necessarily the insurance policy. Ed: That passes outside of the estate. Dave: This is why you need to sit down with an attorney for something like this. Dave: We’re trying to do this on the fly here. Ed: This is what happens. Dave: You’ve got to lay the question out. Look at it from all sides. If you do need legal advice or a referral, the guys will hook you up by giving them a call or, of course, checking them out online. 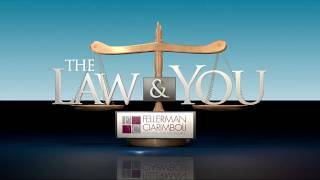 Don’t forget, results matter with attorneys Greg Fellerman and Ed Ciarimboli. We’ll see you next time.